Istok Church Supplies invites visitors to find historic as well as spiritually uplifting artworks that speak to their souls and touch their hearts. 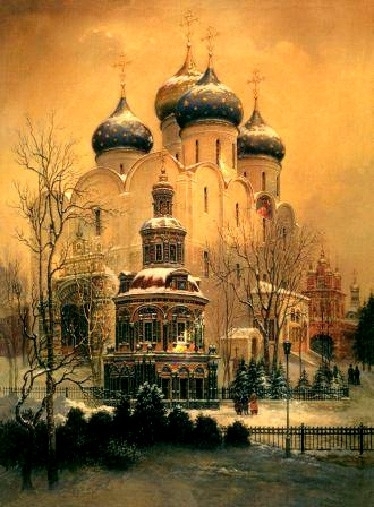 Customers may purchase these evocative paintings for Orthodox Church decoration or for adorning the walls of their homes. No matter which design they choose, they are sure to bask in the warmth and tranquility that emanates from them. We have included a wide variety of subjects and styles for our paintings. Each priceless work of art showcases the artist’s talent and faith. It brings to life the wonders of nature and Orthodox beliefs in myriad ways. Many of the artworks feature historical events, sceneries and life in the 19th century, thereby providing onlookers a unique glimpse into a bygone era. Paintings depicting scenes from nature are particularly pleasing to the eye and make one gasp at the beauty of God’s Creation. They are sure to inspire spirituality within churches. All the church paintings we offer are authorized copies of original paintings so our customers can rest assured they are purchasing licensed items. Most of the paintings are available in four sizes – small, medium, large and extra-large. While the smaller sized paintings come on paper, the medium and larger sized ones come on canvas. Our paintings are mounted on a special type of cardboard or stretcher so that they can be delivered to customers in immaculate condition, ready for baguette mounting. Istok Church Supplies accepts orders for custom sizes, so please enquire if your request can be accommodated. While we offer our products at prices that are lower than market rates, customers can also look for additional discounts of up to 50% on select items. We are constantly updating our catalogues to include new items in order to provide greater variety for our esteemed visitors. 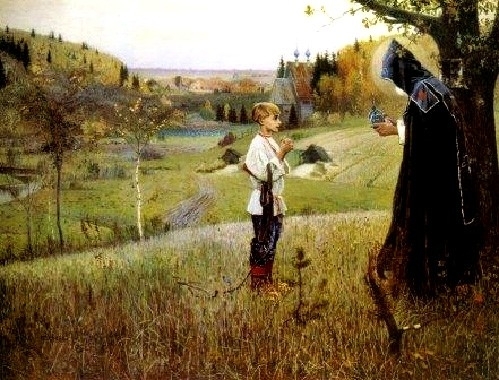 View our collection of inspirational paintings for Orthodox Churches and select the ones that stir your soul to action. 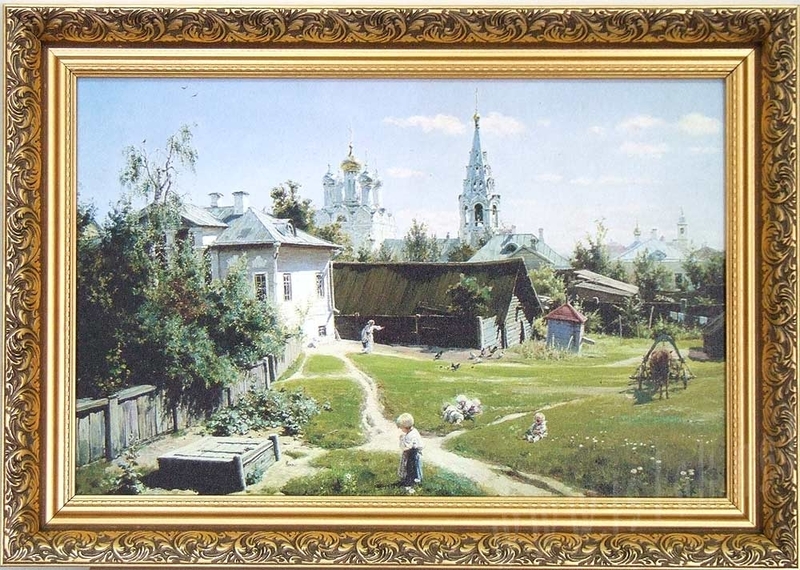 Etching: "A view of the Trinity-Sergius lavra"
Painting: Нестеров М. "Vision to boy Bartholomew"